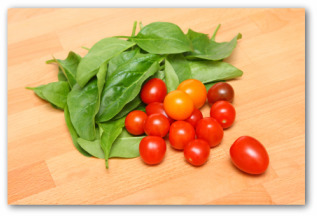 Thinking of planting spinach seeds in your backyard vegetable garden? 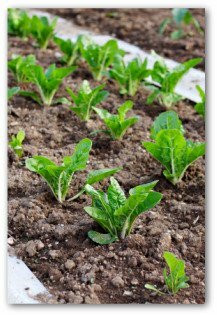 Here are a few easy tips for how to plant, grow, care for, and harvest spinach plants grown from seed planted in your garden! If Popeye had known how to grow spinach, he would have realized how much better tasting fresh greens are from the garden than from a can! Spinach is frost tolerant and grows best in cool weather. 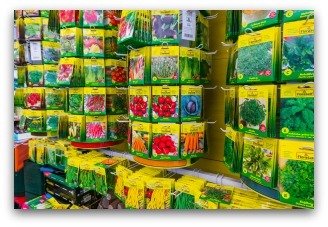 Direct seed it in the garden in the springtime as soon as the ground can be worked. You can start seeds in flats indoors several weeks prior to the last expected frost. The plants are one of the first garden greens to arrive in spring! Spinach can be sown in the fall as well as spring. 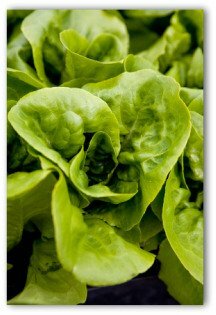 When growing spinach from seed, sow seed at a depth of ½ inch. The optimum soil temperature is 70 degrees. The best soil pH level range for growing spinach seeds is 6.5 to 7.5. Spacing in beds should be 12- 18 inches. Grow a series of small succession plantings spaced a week to ten days apart to ensure a longer harvest. Plants prefer full sun to partial shade. 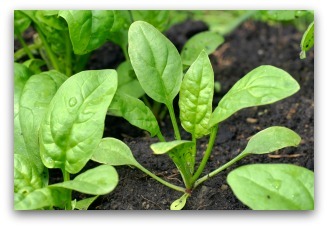 However, spinach seeds can be grown successfully in a lightly shaded area. 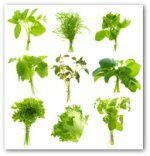 Good companion plants for spinach include celery, onion, legumes, lettuce, pea, radish, and the cabbage family. Not so good garden bedfellows are potatoes. Stop planting spinach when the warm weather crops go in. Commence sowing again in late summer. 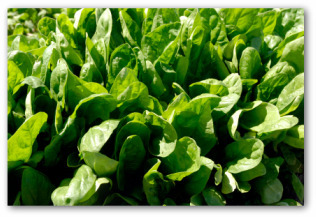 Varieties of spinach differ in leaf type, growth rate, and resistance to bolting. The plants can be mulched with light organic mulch as soon as they grow to a sufficient size. The mulch keeps weeds in check, retains soil moisture, reduces soil temperatures, and keeps the leaves cleaner from dirt and rain splatter. Spinach prefer growing in light sandy soil. This type of soil drains well. Adding a layer of mulch around your spinach helps retain moisture during hot dry weather. 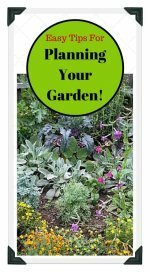 Water your plants 1" per week. In especially hot weather, or if your plants looks wilted, water an additional 1/2 inch per week. Germination is less uniform in warm soil so sow a bit heavier in the spring. Spinach is a leafy vegetable that will grow well in partial-shade. New Zealand is not actually spinach, it is a vigorous grower that can be trained on a trellis or allowed to spread over the garden bed. The frost sensitive plant can be sown when it is also planting time for tomatoes and peppers. Soak seeds overnight and sow spaced about ten inches apart in rows or plant in hills like squash. Harvest the leaves individually as needed. The leaves are small, thick, and filled with water. The plants need light but even watering. Spinach grows in a wide variety of soils but produces the best crops in enriched soil. Grown in fertile soil, the crops generally do not require supplemental fertilizer. Nitrogen applications should only be considered if the leaves are a pale green color. An abundance of nitrogen can give spinach a metallic taste. You can begin harvesting individual leaves as soon as they are large enough to use. Cut the whole plant at soil level. An option is to cut the entire spinach plant an inch above the soil line. This technique encourages the plant to re-grow another leaf crop. During warm weather, the plants bolt which means they form a central stem that quickly grows into a flower stalk. When bolting takes place, harvest what you can and put the rest in the compost bin.